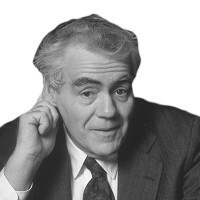 In an excerpt from Jimmy Breslin’s autobiographical novel—his first published work in a decade—the legendary columnist describes his first trumpet lessons, and stumbles upon a scene of heartbreaking beauty. My Aunt Harriet took me up on the bus to the Wurlitzer store on Sutphin Boulevard and bought a used trumpet, which she paid for with bills and change from the grandmother’s purse. Afterwards, each Saturday morning, my mother gave me three dollars for a music lesson and carfare. I took the Q-ll bus to the Jamaica Avenue el and rode it to Kosciusko Street in the Bushwick section. The trumpet teacher, Jack Chernecke, lived one flight over a furniture store. He had pouchy eyes, smoked a cigarette, and sat at the kitchen table in an undershirt, black tuxedo pants, and bare feet. His fingers danced nervously on the valves of his brilliant gold-plated horn. On weekend nights, Chernecke played in the Blue Moon, which was under the el, three blocks from his house. Now on a rough, fuzzy Saturday morning after a bust-out night at the Blue Moon, he had me, this Catholic school kid who instinctively blew his notes louder when an el train passed. The only thing you’re learning is to compete with an el, he said. But he had such deplorable personal habits that he needed the three dollars for a lesson so desperately that he began referring to me as Goldman, after Edwin Franko Goldman. I sure loved playing the trumpet. It was that big heavy object that I needed to keep my hands from shaking when others were looking at me. Chernecke told me that I should pour a cup of hot water through the horn to clean out the valves. I stood at that kitchen sink for hours and poured hot water into that horn until it was too hot to touch. I practiced every day at 4 p.m., which was all right with my grandmother, who usually sat with a cigarette before starting dinner. But if one of the uncles on the police force were in the house asleep there always was a howl. On Saturday and Sunday, I practiced the moment I woke up, and that was as good a torture as you could perform, a trumpet at 8 a.m. in a house where everybody is trying to sleep off the night before. A shout used to come from every corner of the house. Even when I got the sound better and better, the family only screamed more. The worst was when Chernecke, the teacher, told me to try practicing in a closed small room. So I got into the bathroom, locked the door and was blowing as hard as I could, and the whole family was out in the hallway bawling to get in. I could hear them banging on the door all right, but just like Chernecke said, the sound was so great that I didn’t want to stop. I guess my mother hated me fooling around with music, which had to remind her of my father, because she just walked around grumpily and didn’t take my side, when usually she would scream back at them. I used to sit in the back of the living room and imagine I was part of the band. One day I told my Aunt Harriet that I couldn’t play my horn without valve oil. Which wasn’t true. Chernecke always oiled them for me. But going into a music store in Manhattan would be the same for me as parading around in one of the varsity football parkas, the way I saw older guys who played at John Adams High School. My aunt got me 75 cents from somewhere, and I took the subway over to Eighth Avenue in Manhattan. I went into the Wurlitzer Music Shop and stood there while an emaciated man with a wax face looked over some mutes that he had made special. Listening to the clerk, I found out it was Bunny Berrigan. The clerk asked me what I wanted and I said valve oil and he nodded and put down this little box that cost 49 cents. I reached right past Bunny Berrigan to take the valve oil and pay for it. When I got outside, I decided right away that Bunny Berrigan was my father. The big thing he played was “I Can’t Get Started.” Right there on the sidewalk on Eighth Avenue, in the middle of the afternoon, I could see myself standing in a room in our house, while my father, Bunny Berrigan, sat and instructed me. I went to the corner of West 54th Street and stayed there for maybe a half hour and Bunny Berrigan came out. He had on a black suit and a dark overcoat with the collar turned up. He walked along the street and a couple of guys said hello to him as he passed. They said, “How is the game?” and he answered, “Same at the half.” I followed him and when I walked by the same men, I said to them, in a grown up voice, “Same at the half.” A few doors down 54th Street he went into a bar called Jim and Andy’s. I looked in the window. He hung up his coat, then he shook his shoulders a little and rubbed his hands and stepped up to the bar. I still can see him. He put his cigarettes down on his left side and the money in the middle and the bartender gave him a big brown drink and he kept that in his right hand. Not for long, because he drained the whole glass and held it out for another. I stood and watched him for a long time and he never changed. Give him a dark brown glass and he emptied it and looked for another. By now it was getting colder and the sun was gone and I had to go to the bathroom. I stood on the sidewalk outside the saloon for a long time. I was twisting against the pain. I could go on the way home, but I hated the bathroom in the subway. You had to breathe through the mouth and there was always a bum sitting on the toilet. Finally, I had to go so bad that I walked into the bar. If Bunny Berrigan wasn’t really my father sitting in there I never would have had the nerve to walk into the place. “Could I use the bathroom?” I said. Bunny Berrigan wouldn’t even look up. The bartender pointed to the men’s room. “Make it fast.” I went in and took a piss and I was going out, keeping my head down, afraid to look at the men in the bar. But I know I brushed right past Bunny Berrigan and he never looked up from his drink. On the subway back to Queens, I decided that I would never listen to another record by Bunny Berrigan; he wasn’t my father anymore. There was a crowd around the bodega directly underneath Jack Chernecke’s apartment on Halsey Street and Broadway. Out of the window, high and clear, came a trumpet, bip biddibib-bib-ta-taaaaaa. I opened the door and went up to the second floor. Back in the kitchen, with the same yellow linoleum on the floor, and the table the same small white topped, was a young boy with a silver-plated horn. In the corner, with the back of his neck against the old iron window guard, in an undershirt, and tuxedo pants, keeping time with his bare feet, was an old man with a gleaming new horn. The kid finished an exercise and he looked at the man for approval. “You’ll have to do one thing,” he said. “Do you know why?” the old man said. “My mother didn’t have any money for me today,” the kid said. He got up and walked barefoot with his horn downstairs to the street and leaned against the el pillar at the corner and looked along Broadway, with the late afternoon summer sun coming through the tracks and placing oblong blocks of light on the sidewalk. And he also looked up Halsey Street, with its three story attached brownstone and frame houses. The kid stood with his silver plated horn and his music book. On the corner was a morgue wagon with two bodies under white sheets in the back. And now little Xavier, age two, ran down the side street, Halsey Street, past the iron gates in front of the stoops going up to the first floors of the frame and brownstone houses. Ran faster than you can imagine on a glorious late summer afternoon. Ran intoxicated with the freedom of having nobody to hold him or chase him. Ran without knowing it from the body of his brother, Alan, 10, who was dead under a white sheet in the back of the wagon at the corner. Back in front of the bodega, jumping up and down, jump, jump, jump on this yellow chalk circle on the sidewalk, were two other children, 4 and 3, their small sneakers coming right down on the yellow chalk circles. The circles told the little kids that they can die. The circles had been put there by the police to show where the two kids had just been killed. The bodies were under sheets in the back of the morgue wagon at the corner. There never was any reason for chalk circles or chalk outlines of bodies except to follow old custom of police. But now they had one to mark the spot where Alan Smith, 10, died, and another to show where his older brother, Marvin, 16, also had died. “Stop holding it like that. You liable to lose it. You get home here with it,” she said. The mother waved and stepped back into the house and on the corner in front of the bodega, right at the very entrance, two kids on bikes put their feet to the sidewalk for balance and one of them held out a gun. Marvin took out a roll of bills and handed them to the kid. The other one started shooting. He hit both brothers in the head. Marvin died right away. Alan flopped on the sidewalk like a flounder on a dock for awhile and then stopped. In the aftermath of the killing of her two sons, the mother sat in the doorway of her house up the block. A relative held her arm to try and calm her. The big woman’s bare feet began to jiggle on the floor. Her body heaved. The old man watched with an expressionless face. Then he put the trumpet to his lips and began to play, slow and low, and the notes placed a terrible stillness on everything on the block except the mother screaming. In the stillness on Broadway, the notes carried for blocks. The B-55 bus stopped in the middle of Broadway, blocking all the traffic and when people tried to honk horns no sound came out. The J train on the el tracks slipped imperceptibly into the station. The conductor looked out of the top of one of the windows and watched as the old man played. The morgue driver stuck his arm out the window and dropped the cigarette he was smoking. The children were still on the yellow chalk circles. There was only the sound of “Lush Life” with the notes rising over the low endless growl of the mother in agony in her doorway. Then the old man was through playing. He stood motionless.